Amid a sweep of more than 300 arrests over the past several days in Cairo, Alexandria and other governorates, Egyptian security forces arrested several human rights defenders and transferred them to different police stations. This follows a recent call to protest in the “Egypt is not for sale” demonstrations, on 25 April 2016, against President Al Sissi's policies, human rights abuses and crimes committed by the security forces, and the transfer of two Red Sea islands to Saudi Arabia. Ahmed Abdullah is a human rights defender, founder and board director of the Egyptian Commission for Rights and Freedoms (ECRF), an independent organisation working on the promotion of democracy, religious freedom and minority rights in Egypt, as well as the spread of human rights values through documentation, campaigns and legal support. Malek Adly is a human rights lawyer and director of the lawyers network at the Egyptian Centre for Economic and Social Rights (ECESR), which seeks to promote and mobilise social movements to spread the culture of human rights. He is one the founders of the Front for Defending Egypt's Protesters, a group comprising of thirty-four human rights organisations and several lawyers documenting illegal practices carried out by state police forces against peaceful protesters. 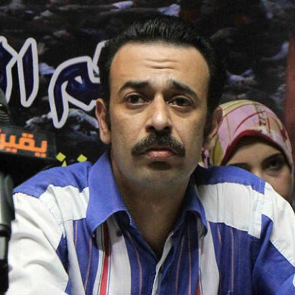 Amr Badr is a human rights defender and the editor-in-chief of Yanair news portal aimed at the documentation of human rights violations in Egypt. Maysara Abdoun is a Nubian human rights defender, actively involved in the defence of minority and Nubian rights in the Aswan governorate. He is the training coordinator at Border Center for Support & Consulting (BSC), an organisation led by a group of youths with experience in the field of community development and human rights. Arbitrary arrests and house raids against human rights defenders began on 21 April 2016, which coincided with Sinai Liberation Day. This followed a call to protest on 25 April 2016, in opposition to the recent maritime borders' agreement between Egypt and Saudi Arabia involving the transfer of two Red Sea islands to the Saudi Kingdom. The current smear campaign, as well as the ongoing mass arrests of civil society, political activists and journalists, is a continuation of the harassment and threats faced by human rights defenders providing support and legal assistance to the protesters. 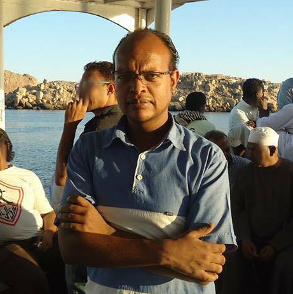 Human rights defender Ahmed Abdullah was seized from his house by armed security forces. The armed officers confiscated his laptop and mobile phone. He was transferred to First Nasr City police station in Cairo, following an arrest warrant issued against him by the East Cairo Prosecution. He is currently detained for fifteen days pending investigations, and has been accused of ten charges including the possession of leaflets, calling to overthrow the regime and change the constitution, and the promotion by indirect ways and through the web of terrorist offences. An arrest warrant was issued by Egyptian authorities against lawyer Malek Adly and journalist Amr Badr both accused of promoting false news. 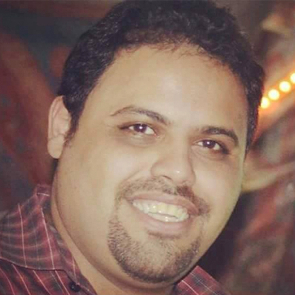 On 26 April 2016, Maysara Abdoun was arrested during the protest in Al-Mahatta Square, Aswan by Egyptian police and transferred to First Aswan police station where he is currently detained for fifteen days, pending investigation. He is charged with attempting to overthrow the ruling regime. In addition to the mentioned human rights defenders, numerous activists have been targeted by police forces, including activist Sanaa Seif who was summoned to report to the South Cairo prosecution for a hearing session on 27 April 2016, over charges of plotting to overthrow the regime and distributing flyers calling for protests. The human rights defender was further charged with insulting a member of the judiciary and a new investigation was opened. This follows her release from prison in September 2015. 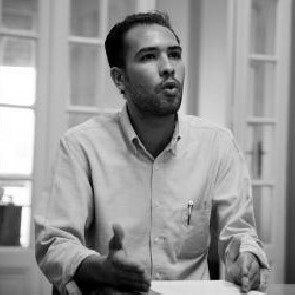 Malek Adly was previously targeted and summoned by the Cairo Appeal Prosecutor for interrogation in April 2015 following an anti-torture protest in Cairo, which he abstained from attending. Earlier in January 2016, Ahmed Abdullah faced threats of detention after the police raided a coffee shop in Giza governorate and questioned the staff about him. Front Line Defenders is greatly concerned by the recent spate of arrests and detentions against human rights defenders in Egypt and urges the Egyptian authorities to grant their immediate release. 4. Guarantee in all circumstances that all human rights defenders in Egypt are able to carry out their legitimate human rights activities without fear of reprisals and free of all restrictions.